Click here to access our Cradle (BMU) product information. Click here to access our Eyebolts product information. Click here to access our Handrails product information. Click here to access our Harness product information. 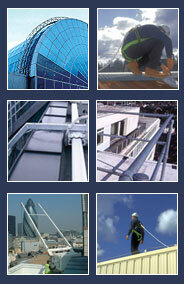 Click here to access our Monorails, gantries & travelling ladder product information. Click here to access our fall arrest system product information.